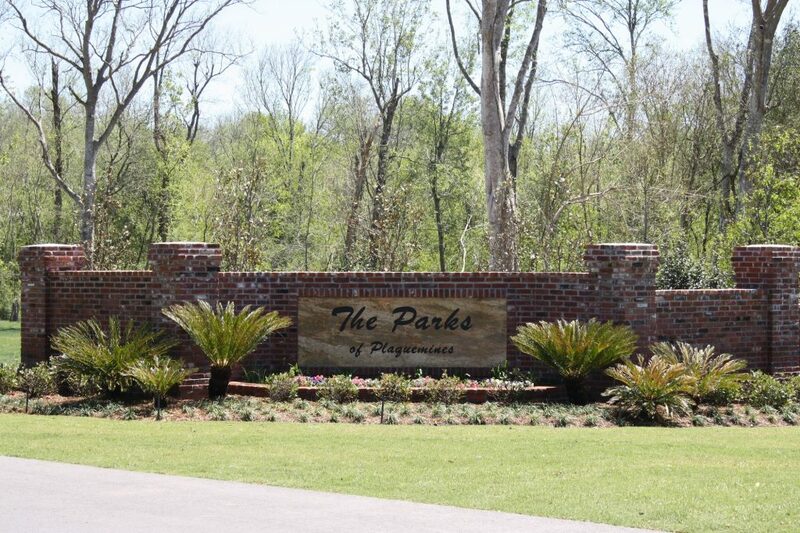 The first master planned community in Belle Chasse LA, the Parks of Plaquemines is growing by leaps and bounds. New construction homes, a tot lot/playground, and a walking trail that encircles the neighborhood are just a few of the things that are making this Belle Chasse neighborhood oh so desirable. Vacant lots are still available, with starting prices under $100,000. Whether you want a lot for a large home or a garden lot for a smaller villa, there’s something here to meet your exacting needs. Because each home is custom built, styles vary widely in the neighborhood. But the things you will consistently find from house to house are high ceilings, en suite master baths, wood, granite and marble floors, and high end kitchens. The average custom home is priced in the mid $500s, with larger homes selling for over $1 million.